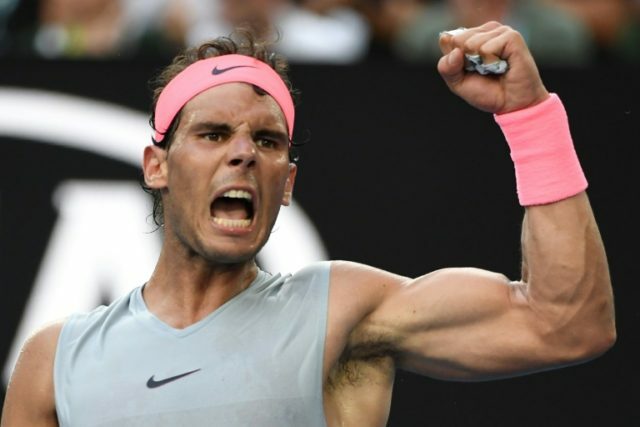 Melbourne (AFP) – Big-hitting Marin Cilic stands in the way of a second successive Australian Open semi-final for Rafael Nadal Tuesday as Caroline Wozniacki looks to make the last four after a seven-year gap. Top seed Nadal has been in ominous form up till now but faces a high hurdle in the sixth-seeded Croat, a former US Open champion. They are the night match on Rod Laver Arena with Wozniacki taking on Spain’s Carla Suarez Navarro immediately afterwards as the stakes are raised in quarter-final action. Nadal, who lost to Roger Federer in last year’s final, has a 5-1 career win record against Cilic, but is taking nothing for granted. Whoever gets through will face either Bulgaria’s world number three Grigor Dimitrov or British hope and 49th-ranked Kyle Edmund in the last four on Thursday. Dimitrov beat Edmund only two weeks ago in the quarter-finals at the Brisbane International, and is prepared for another struggle. “I am finding that extra gear in every match and the main thing for me is to really focus on myself,” said the third seed, who is gunning for a maiden Grand Slam crown. Dane Wozniacki last made the semi-finals at Melbourne Park in 2011, and, like Dimitrov, is yet to win a Grand Slam. The winner will play either Ukraine’s fourth seed Elina Svitolina or unseeded Belgian Elise Mertens. Svitolina is on a nine-match win streak after winning the Brisbane International to kick off her season, but is not underestimating Mertens, who entered the tournament after winning in Hobart. “You know, she’s been playing well, definitely,” she said.